The recent tour through my sordid MMO history got me thinking about a few of the online titles I wanted to play, but for some reason or another was never able to. Foremost on that list is a game called Asgard. An in-depth Google search turned up nothing about it, no trace whatsoever. It was to be an MMO based on Norse mythology with ambitious goals. A persistent world where players harvest their own supplies to build their homes and villages, weapons, armor and even food. The campaign was planned to be just as player driven, allowing groups to form factions and wage wars against other villages and factions. Raids could be sent into the mountains or out to sea in search of mythical beasts and blessings from Odin, Thor or any number of other deities from the Norse pantheon. Sadly, sometime between 2001 and 2003, Asgard was cancelled. This isn't just some pity party for an MMO a young me mourned the loss of. While I won't get a chance to build myself a cottage in Asgard, indie game Life is Feudal promises to give me my medieval cottage, sans viking mythology. It's a compromise I'm more than willing to make for a chance at a realistic feudal survival game. Life Is Feudal is currently in early access on steam. The MMO portion of the game remains in a closed alpha, but there is a single player sandbox mode for players to test their mettle in. Start with next to nothing and build anything you can imagine. You'll construct everything you'll use in the world. Forge your own weapons and tools, make medicinal tinctures from gathered herbs, plow a field and plant a crop of food stuffs. Hunt for game to use for meat and furs for warmer clothes. Start a mine and use the stone to turn your log cabin into a keep. What I'm trying to say is there is a lot to do. An example of your early game housing options. Gather a few resources and build yourself a cottage. What could be better? The combat is physics based with no target system. What does that mean? Instead of highlighting or locking onto a target, you'll have to keep your wits about you and track them manually. swinging your sword at an enemy doesn't guarantee a hit. You'll have to be sure you are within the weapon's reach and that you and your weapon are moving with enough speed to cut or bludgeon your way through any armor the enemy may be wearing. My simple explanation doesn't do it justice, so for a more complete walkthrough of how it all works, check out this link to the game's site. I'm a sucker for a good survival game. DayZ has been my go-to in the genre, but the presence of other players leaves me emotionally drained after most sessions. I'm paranoid of every encounter and suspicious of every single player in the game. The longer I survive, the more reluctant I am to allow anyone near me. There's a larger statement about survival and trust in that, but this is not the time to explore it. 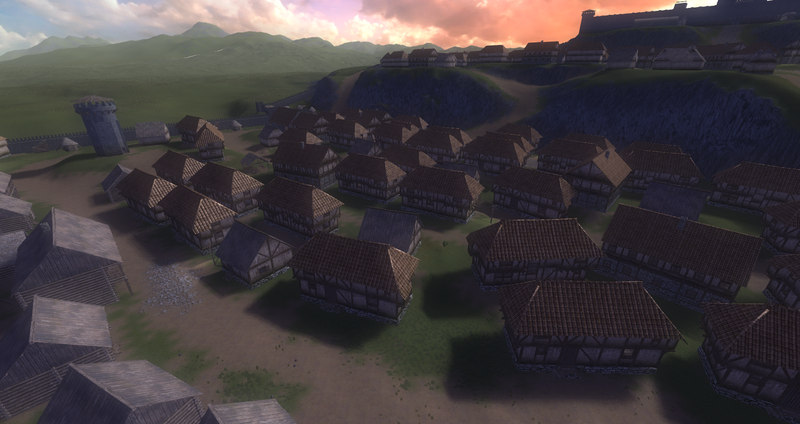 Who needs one cottage when you can have a whole village of them to yourself?! 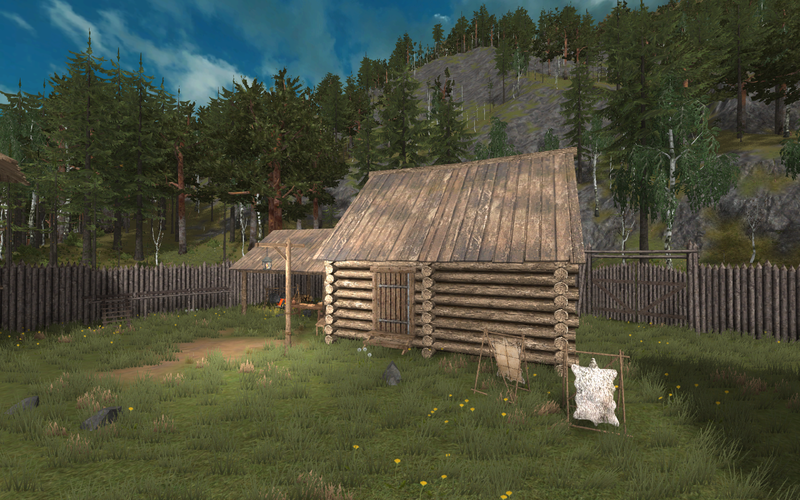 Life is Feudal satisfies the survival fix without the emotional trauma or -as much- paranoia. On top of that, it puts you in a detailed and surprisingly realistic medieval world. The sandbox allows players to scale the difficulty and customizability as they see fit. Either build structures based on pre-set templates or build your own structures square by square to create whatever you can imagine. What I've covered in this brief piece really just scratches the surface of the game world. It's a sandbox in the truest sense of the word.